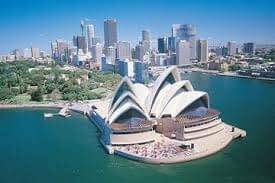 Fast Customs Clearance Sydney Best Prices. We are expert Sydney Customs Brokers, Agents providing fast customs clearance services with affordable prices, Australia-wide. In the hands of the right customs broker agents, clearance need not be a complex procedure. We use the latest in digital document imaging technology to provide an easy method of archiving and retrieving important customs brokerage documents. This minimizes the need for physical storage space and allows easier access. All our Sydney clearance brokerage systems are electronically linked to the Australian Customs and Quarantine service and other government departments. Allowing us access to clearance duty rates, duty concessions and other information traditionally stored in numerous volumes of paper binders within an instant. We let you take control of your imports by streamlining the customs clearance brokerage process. We provide fast and efficient customs clearance services in all Australian ports. As logistics experts we fully understand the impact that delays in customs clearances can have on your business. So we harness our deep expertise, extensive resources, vast networks and strong relationships to make sure your import shipment clears customs and quarantine barriers as smoothly and quickly as possible.